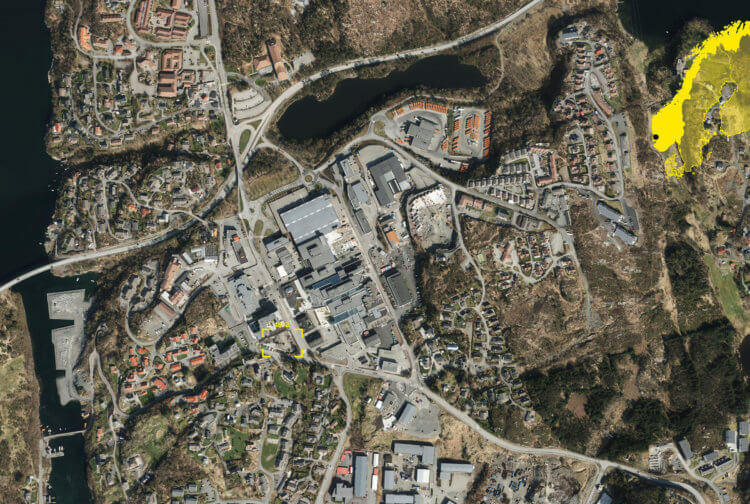 The two projects, Sartorgården and Straumehagen, consist of a total of seven to nine floors; two underground parking floors, one-to-two floors for commercial business, shops and offices and five apartment floors. These buildings facilitate for good, common outdoor-areas on the cover of the commercial buildings, with residual buildings surrounding green courtyards where good connections and light is achieved with view to the surrounding nature. The urban life at Straume will at the same time give close proximity to the unique nature and costal environment of Sotra. Sotra Costal City will give the residents a full-fledged urban offer where green structures are at focus and much consideration is given to pedestrians. A cavern has already been crafted underground, allowing for 1500 cars to park and hence making space for large and open public spaces and meeting points, green trees, cafés and restaurants. Cinemas, shops, restaurants and a broad selection of public and private services will also be located here, together with an extensive range of cultural and leisure activities.